Współczesny świat dziecka : media i konsumpcja / pod redakcją Małgorzaty Boguni-Borowskiej. Edition: Wydanie I.Publisher: Kraków : Wydawnictwo Uniwersytetu Jagiellońskiego, © copyright 2019. Availability: Copies available for loan: [CZ NOWOŚCI 659.3] (6). Polskie dokumenty dyplomatyczne 1980 : styczeń-czerwiec / redaktor Piotr Długołęcki. Publisher: Warszawa : Polski Instytut Spraw Międzynarodowych, 2018. Availability: Copies available for loan: [CZ NOWOŚCI 327] (1). Meritum - inwestycje budowlane / redakcja naukowa Alicja Plucińska-Filipowicz, Marek Wierzbowski, Tomasz Filipowicz ; autorzy: Ewa Boguta, Arkadiusz Despot-Mładanowicz, Joanna Filipowicz, Tomasz Filipowicz, Artur Kosicki, Mariusz Nahajewski, Bartłomiej Nowak, Alicja Plucińska-Filipowicz, Mariusz Rypina, Mateusz Stawiarz, Anna Żak-Stobiecka. Publisher: Warszawa : Wolters Kluwer, 2019. Other title: Inwestycje budowlane - Meritum.Availability: Copies available for reference: [CZ NOWOŚCI 349.44] (1). International relations of Asia / ed. by David Shambaugh and Michael Yahuda. Edition: 2nd ed.Publisher: Lanham [etc.] : Rowman & Littelfield, cop. 2014. Availability: Copies available for reference: [CZ NOWOŚCI 327] (1). On genetic interests : family, ethnicity, and humanity in an age of mass migration / Frank Salter with a new introduction by the author. Publisher: London ; New York : Routledge/Taylor & Francis Group, 2017. Availability: Copies available for reference: [CZ NOWOŚCI 316.4] (1). Biel : notatki z Afryki / [tekst i fotografie] Marcin Kydryński. Publisher: Warszawa : Edipresse Polska, cop. 2016. Availability: Copies available for loan: [M-111703] (1). Copies available for reference: [CZ NOWOŚCI 913] (1). Diabetologia wieku rozwojowego / redakcja naukowa: Małgorzata Myśliwiec, Przemysława Jarosz-Chobot ; [autorzy Maciej Borowiec i 55 pozostałych]. Edition: Wydanie I.Publisher: Warszawa : PZWL Wydawnictwo Lekarskie, 2018. Online Access: Click here to access online | Click here to access online Availability: Copies available for reference: [CZ NOWOŚCI 616] (1). Pielęgniarstwo opieki paliatywnej / redakcja naukowa Krystyna de Walden-Gałuszko, Anna Kaptacz ; [autorzy Anna Białoń-Janusz i 19 pozostałych]. Edition: Wydanie 1 - 3 dodruk.Publisher: Warszawa : Wydawnictwo Lekarskie PZWL, 2019. Availability: Copies available for reference: [CZ NOWOŚCI 616-083] (1). The Routledge international handbook of globalization studies / ed. by Bryan S. Turner. Edition: 1st pbk ed.Publisher: London ; New York : Routledge, 2011. Availability: Copies available for reference: [CZ NOWOŚCI 316.4] (1). Aplikacja od ogółu do szczegółu : akty normatywne w pigułce / Aneta Heliosz. Edition: 10. wydanie, stan prawny: luty 2019 r.Publisher: Warszawa : Wydawnictwo C. H. Beck, 2019. Other title: Akty normatywne w pigułce.Availability: Copies available for reference: [CZ NOWOŚCI 347.9] (1). Introduction to management science / Bernard W. Taylor III. Edition: 12th ed., global ed.Publisher: Boston [etc.] : Pearson, cop. 2016. Availability: Copies available for loan: [M-111680] (1). Copies available for reference: [CZ NOWOŚCI 005] (1). The rise of the network society / Manuel Castells. Edition: 2nd ed., with a new preface.Publisher: Malden, Mass. [etc.] : Wiley-Blackwell, 2012. 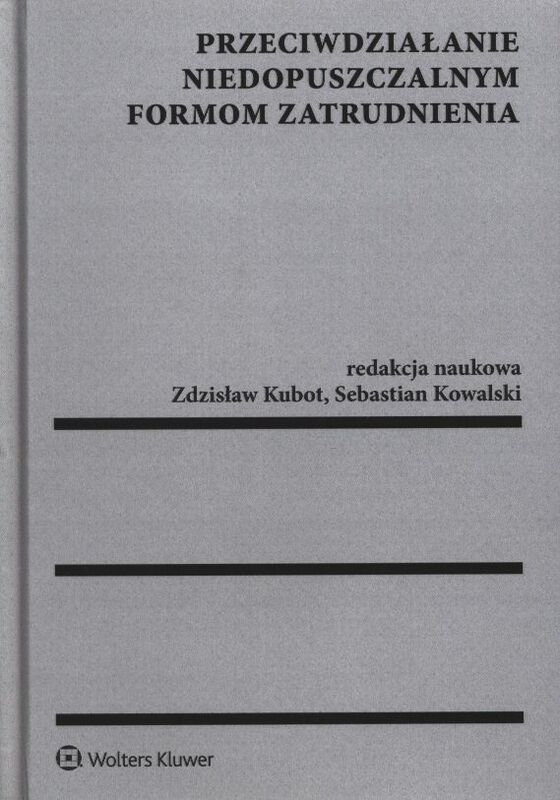 Availability: Copies available for reference: [CZ NOWOŚCI 316.325] (1). Asking the right questions : a guide to critical thinking / M. Neil Browne, Stuart M. Keeley. Edition: 11th edition, global edition.Publisher: Boston [i pozostali] : Pearson Education Limited, copyright 2015. Availability: Copies available for loan: [M-111679] (1). Copies available for reference: [CZ NOWOŚCI 16] (1). Choroby zakaźne i pasożytnicze / redakcja naukowa Anna Boroń-Kaczmarska, Alicja Wiercińska-Drapało ; autorzy Brygida Adamek [i 43 pozostałych]. Edition: Wydanie I - 2 dodruk.Publisher: Warszawa : PZWL Wydawnictwo Lekarskie, 2019. Availability: Copies available for loan: [M-111669] (3). Copies available for reference: [CZ NOWOŚCI 616.9] (1). Tajne akta Watykanu : dyplomacja kościoła - dokumenty i tajemnice / Matteo Luigi Napolitano ; [tł. Krzysztof Stopa]. Publisher: Kielce : Wydawnictwo "Jedność", cop. 2013. Other title: Vatican files : la diplomazia della Chiesa : documenti e segreti.Availability: Copies available for loan: [M-111664] (1). Copies available for reference: [CZ NOWOŚCI 2] (1). O polskiej biedzie w latach 1990-2015 : definicje, miary i wyniki / Stanisława Golinowska. Edition: Wydanie pierwsze.Publisher: Warszawa : Wydawnictwo Naukowe SCHOLAR, 2018. Availability: Copies available for reference: [CZ NOWOŚCI 364.6] (1). Nowe życie : jak największe umysły wszech czasów odkryły, skąd się biorą dzieci / Edward Dolnick ; przekład Aleksandra Czyżewska-Felczak. Edition: Wydanie I.Publisher: Kraków : Znak Horyzont, 2019. Other title: Jak największe umysły wszech czasów odkryły, skąd się biorą dzieci | Seeds of life.Availability: Copies available for reference: [CZ NOWOŚCI 316] (1). Sapiens : od zwierząt do bogów / Yuval Noah Harari ; przełożył Justyn Hunia. Edition: Wydanie pierwsze: Od zwierząt do bogów, Warszawa 2014.Publisher: Kraków : Wydawnictwo Literackie, 2019. Other title: Od zwierząt do bogów.Availability: Copies available for loan: [M-111649] (4). Copies available for reference: [CZ NOWOŚCI 94(100)] (1). 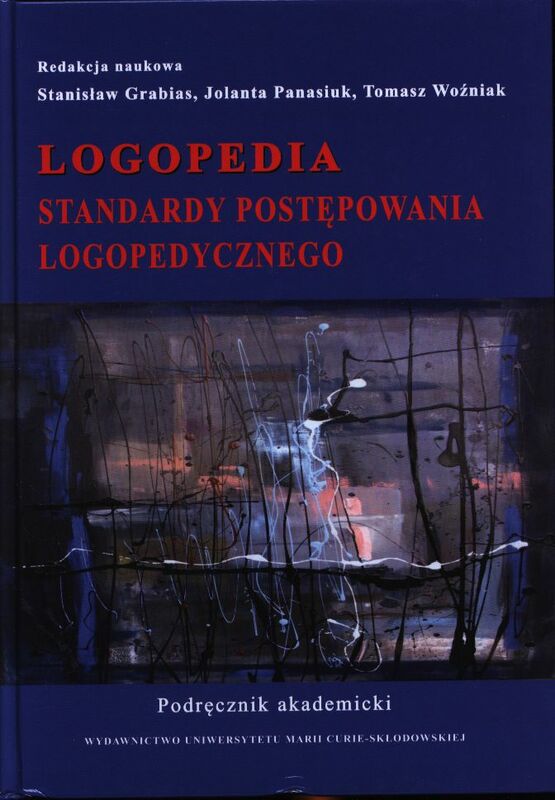 Logopedia : standardy postępowania logopedycznego : podręcznik akademicki / redakcja naukowa: Stanisław Grabias, Jolanta Panasiuk, Tomasz Woźniak. Publisher: Lublin : Wydawnictwo Uniwersytetu Marii Curie-Skłodowskiej, 2015. Online Access: Okładka | Spis treści Availability: Copies available for loan: [M-111653] (3). Copies available for reference: [CZ NOWOŚCI 376-056.264] (1). The internationalists and their plan to outlaw war / Oona A. Hathaway and Scott J. Shapiro. Publisher: [London] : Penguin Books, 2018. Availability: Copies available for reference: [CZ NOWOŚCI 32] (1). Why liberalism failed / Patrick J. Deneen ; foreword by James Davidson Hunter and John M. Owen IV. Publisher: New Haven ; London : Yale University Press, copyright 2018. Availability: Copies available for reference: [CZ NOWOŚCI 32] (1). Mandell, Douglas, and Bennett's infectious disease essentials / [edited by] John E. Bennett, Raphael Dolin, Martin J. Blaser. Publisher: Philadelphia : Elsevier, 2017. Other title: Infectious disease essentials.Availability: Copies available for loan: [M-111620] (2). Harrison's infectious diseases / editors Dennis L. Kasper, Anthony S. Fauci. Edition: 3rd edition.Publisher: New York [i pozostałe] : McGraw-Hill Education, copyright 2017. Other title: Infectious diseases.Availability: Copies available for loan: [M-111617] (2). American roots : readings on U.S. cultural history / Karen Blanchard, Christine Root. Publisher: White Plains : Longman, cop. 2001. Availability: Copies available for reference: [CZ NOWOŚCI 811.111] (1). An illustrated history of the USA / [Bryn O'Callaghan]. Edition: 18th impr.Publisher: Harlow : Longman, 2005. Availability: Copies available for reference: [CZ NOWOŚCI 811.111] (1).